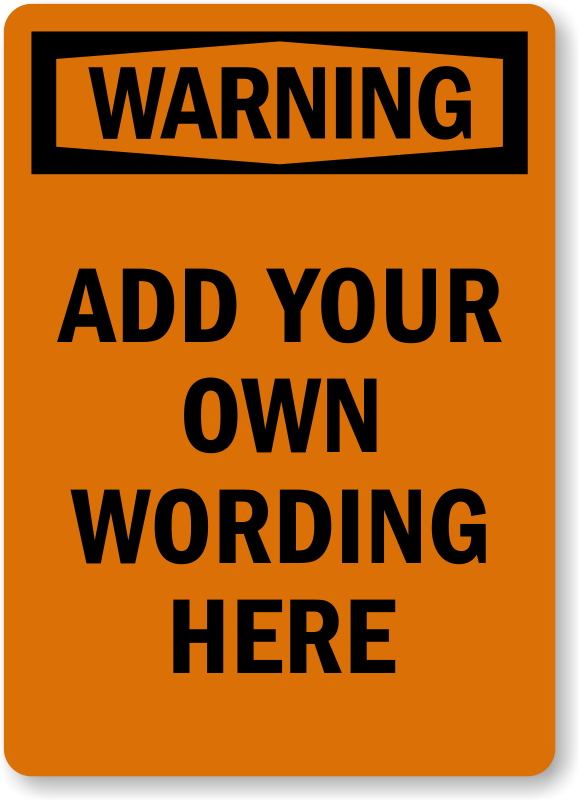 Add text and design your own warning label from our easy template. Our labels are OSHA compliant and ensure that your facility remains accident-free. Weatherproof, fade proof, waterproof, UV and chemical resistant label made of laminated vinyl outlasts competition. Signs were a custom sign to match what we already had in place. They were duplicated and received in a quick manner. Awesome customer service.